New accusations that mega-church pastor Rick Warren is promoting a new world religion that will usher in the Antichrist– are raging again, despite Warren’s adamant and frustrated denials. Fanning the flames on the Internet this time are none other than The New American magazine, the official publication of the right-of-center John Birch Society and conservative columnist Joseph Farah. Renewed interest in “Chrislam” and Warren was apparently sparked by an article in a local newspaper, the Orange County Register. Warren, pastor at southern California’s Saddleback Community Church in the Los Angeles suburb of Lake Forest, is accused of trying to merge Christianity and Islam. When asked, Warren shakes his head in amazement – saying it’s “the lie that won’t die,” but which keeps resurfacing. So, what’s causing all the chatter? “The Rev. 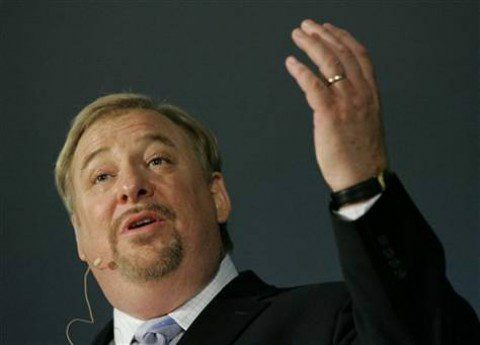 Rick Warren,” writes the Register’s Jim Hinch, “one of America’s most influential Christian leaders, has embarked on an effort to heal divisions between evangelical Christians and Muslims by partnering with Southern California mosques and proposing a set of theological principles that includes acknowledging that Christians and Muslims worship the same God. So, what’s wrong with a dinner and soccer game?